Blue wave? More like blue puddle. DNC Chair Tom Perez acknowledged Monday on CNN that there will be no “blue wave” in the 2018 midterm elections. The Democrats, with the help of the fake news media have claimed a “blue wave” will overcome the midterms resulting in Democrats taking back the House and possibly the Senate. Like clockwork, the left-leaning media is rolling out biased polls showing Democrats ahead in key swing states. Perhaps Tom Perez sees how massive the Houston Trump rally with Ted Cruz is with over 100,000 people attending or that the #walkaway movement is real. Americans wants jobs, not mobs. The left represents lawless, violent mobs. “We always knew that this election was going to be close. I don’t use the term ‘blue wave,'” Tom Perez said. 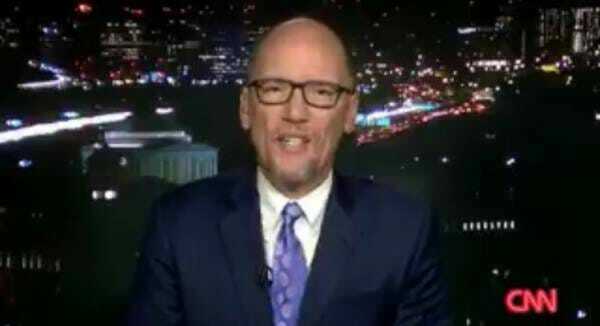 The post DNC Chair Tom Perez Nervously Admits There Will Be No “Blue Wave” in 2018 Midterms (VIDEO) appeared first on The Gateway Pundit.